This past week I was off work on a nice resting vacation. Being a caregiver means my options are limited as to what I can do and where I can get to but despite that it was a good week off. My dream would have been to be somewhere nice and warm! To pass the time and to keep me and my mom entertained I ran down the list of movies available to watch on The Movie Network. Here is a list of the movies we watched and my brief review on each. 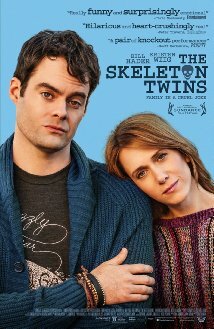 After one sibling loses everything due to a tech start-up blunder he moves back in with his Sister, her husband and Son. The movies moves throBough a period of over 3 months at which point you learn that like most of us they are very flawed individuals. My favourite performance throughout the whole movie comes from Bobby Cannavale (http://www.imdb.com/name/nm0134072/?ref_=tt_cl_t3). I have enjoyed any role I have seen him in and he adds a lot to this movie. Although I did enjoy this film I found at times it was a bit slow and a wee bit out there. I didn’t really connect with the characters but the humour and the story was good. 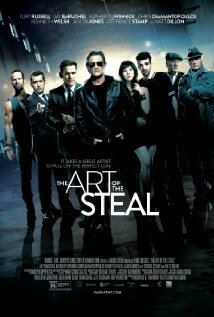 This is a great heist movie. This movie is very Canadian which is one of the reasons why I loved it as much as I did. Starring mainly Canadian actors and filmed in Canadian cities (the story also takes place in Canada) it caught me from the very start. It has a great sense of humour and no spoilers here but I honestly did not see the ending..great twist! This movie is based off of a Book I keep meaning to get my hands on and read and the movie adaptation made me really want to read the book. The story is about a woman who after suffering a traumatic assault is left with the inability to retain short term memories or remember anything from after the age of 25 (I might be off on the age). Every morning she goes to bed and every morning she wakes up not remembering the day before. The movie progresses as we find out more about what happened and who she is. It does a good job with the twists and turns which I imagine are more detailed in the novel. 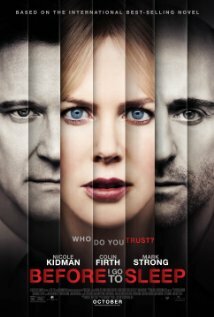 The acting is great, I’ve never been the biggest Nicole Kidman fan but I did enjoy her performance and she seemed to be true to the character. This is a great family movie. As someone who is “different” I did relate to the main character but I wonder if kids would be able to follow the more complex themes presented. 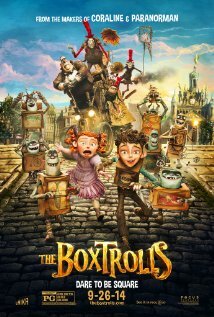 It does move a bit on the slow side and being a kids movie has a predictably happy ending. 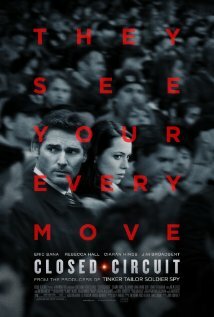 So far I have enjoyed any movie Eric Bana is in, and this one is no exception. 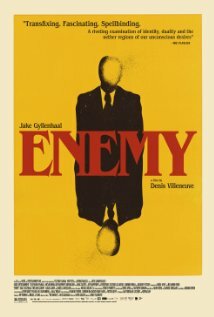 A fast paced movie that speaks to current issues and fears it doesn’t always do what you expect. The ending was a bit weak but I can’t really be too hard on it, I just really enjoyed the story. Out of all the movies on this list, I disliked this one the most. 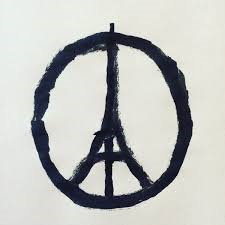 Although it takes place in Canada it was just so far out there and moved painfully slow I just couldn’t get into it. I left it on for mom to watch (she enjoyed it) and found other things to do. The movies features a guy who is in a deep rut (both personally and professionally), ends up watching a random movie suggested to him by a co-worker and sees someone who looks identical to him. After working really hard to find and meet this doppelganger he ends up getting freaked out….no idea how it ended as I only caught bits and pieces. 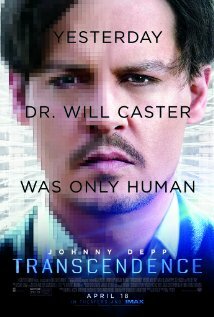 If anyone else has seen this movie I would be interested to hear what you thought. Another instance where I really wanted to read the book before seeing the movie but alas… It was a great movie which suggests to me that the book would be even better. Some of the characters are a bit one dimensional and based on the trivia listed on IMDb I can see why that happened. I had no idea that Taylor Swift played one of the characters until I read the trivia (way to go her). 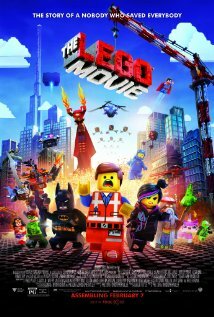 The movie moves at an ok pace if a bit slow but for this movie I didn’t seem to mind as much. I have wanted to see this movie since it first came out, it was well worth the wait. 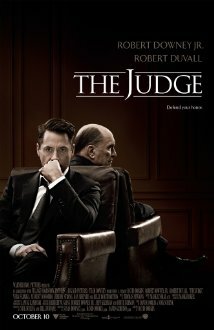 Robert Downey Jr. and Robert Duvall are just amazing to watch as they play off each other in scenes. There were a few places in the movie that were a little weak but what movie doesn’t have bits where you wonder why the heck that part happened? This is by far one of my favourite movies on this list, if you haven’t seen it yet please check it out and make sure the tissues are handy! When I made the list of movies to watch I didn’t realize that I had selected 2 movies starring the exact same two principal actors but both of them were so good that I didn’t even really think about the other movie when watching this one. 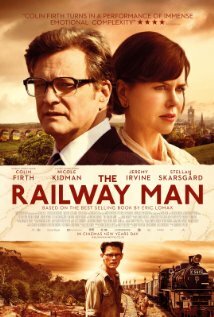 A great movie to watch today Remembrance Day it tells the story of a WWII survivor as he suffers from PTSD (they do not give it a name in the movie) and his devoted wife who wants to help him. He confronts the demons of his past and helps other characters along the way. 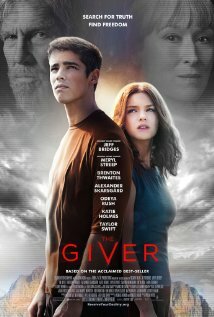 It’s a great movie very touching, great pace and great acting all the way around. Another estranged sibling story however this one (as the title suggests) is about twins. Not my favourite movie it moved slow and I didn’t connect with the characters at all. It wasn’t a horrible movie by any means just wouldn’t make it on any top 10 list for me. I had ZERO expectations for this movie. I don’t remember it’s theatrical release and do not remember seeing any trailers for back in 2013. It was a really good movie with strong performances; not all the acting was that great so it can be a bit jarring. 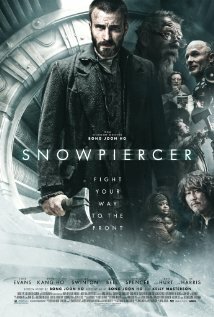 The plot is a good one and the movie moves at a good pace. The ending however is one of those endings where you are starring at the screen going “wait, that’s it?”; I guess it’s not wholly a bad thing but the ending didn’t sell me on this movie. 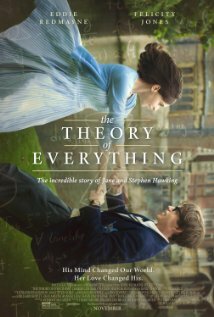 This is a movie adaptation of a book written by Prof. Stephen Hawking’s first wife (until this movie I hadn’t realized he had more than one marriage). It was a good movie about a man I admire and whose name is on my bucket list of people I want to meet. I’m lucky to live in Waterloo which is where the Perimeter Institute is and where it was announced he would be a regular visitor. I’m hoping he comes back sometime soon so that I can attend a lecture; I doubt I would get to meet him or say hi but I would welcome the opportunity. “The road to hell was paved with good intentions” <— This statement nicely sums up this movie. It’s about what happens when AI is advanced enough to use it’s own technology to take over people. Some good lessons to be learned as we continue to make advancements in this technology. Great performances by everyone on screen and sets a great pace. The ending wasn’t something I predicted but it was the right ending for this movie. I didn’t realize I had saved the best for last but I did! By far my favourite movie on this list and one of my top 10 favourite movies of all time. 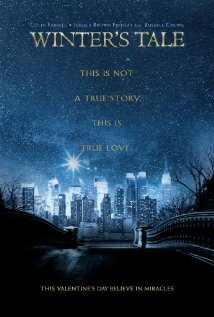 What an amazing love story with a touch of whimsy. I had no idea what to expect when I put this movie on but both my mom and I loved it from start to finish. I also hadn’t realized that this was an adaptation of a novel; the movie is SO good it is the one instance where I don’t think I want to read the book. I don’t want to know about any missing parts I feel the movie is amazing all on it’s own. If you haven’t heard of this movie before check it out and let me know what you think.